The Russell lost .81% but the Biotech sector lost -2.4% and Semiconductors -2.23%. Both of those sectors are large components of the Russell and that means the index should have been down much more. This suggests there was some dip buying underway even if we could not see it on the surface. 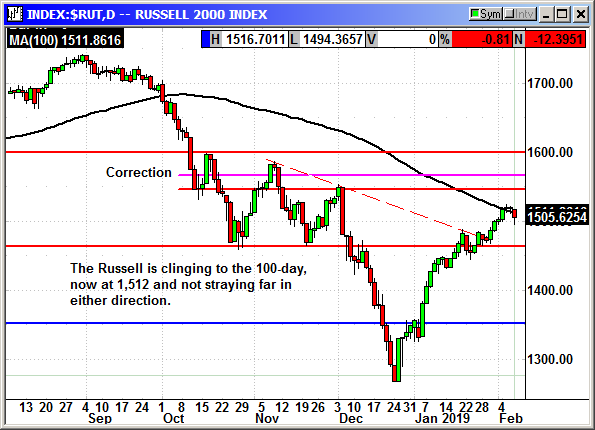 The Russell appears to be clinging to the 100-day average at 1,512 and not straying far in either direction. 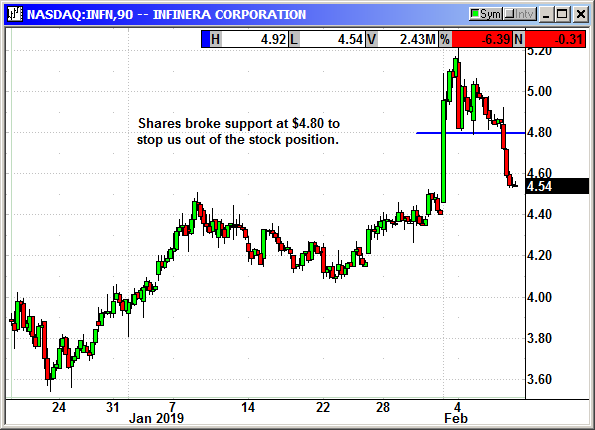 The long position was stopped at $4.75. No specific news. Shares simply declined with the market after the big gain last week. The optional option position is still open. No specific news. 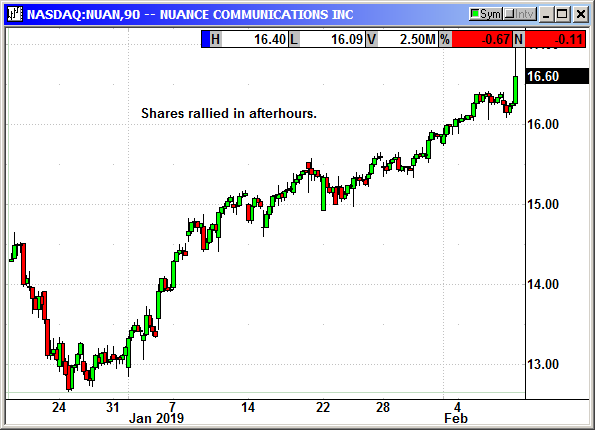 Nuance reported earnings after the bell. We closed the position at the open this morning. They reported earnings of 34 cents that was well above their guidance for 27-29 cents. Revenue of $516.3 million was also over prior guidance of $497-$511 million. Analysts expected 29 cents and $506.6 million. Long NUAN shares @ $15.15, exit 16.30, +1.15 gain. Closed 2/7: Long Apr $16 call @ 90 cents, exit $1.15, +.25 gain. No specific news. 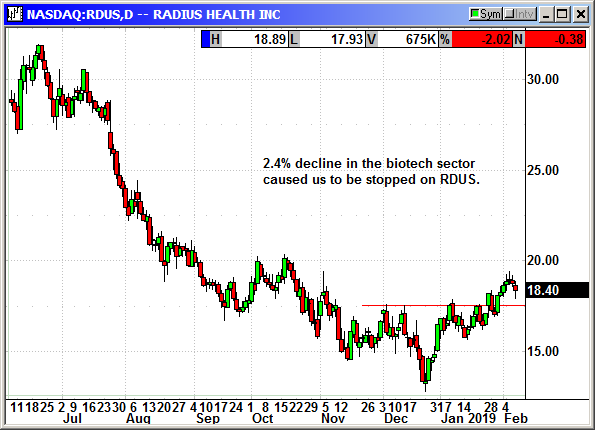 The 2.4% decline in the biotech sector stopped us out of RDUS shares. The call option is still open. Closed 2/7: Long RDUS shares @ $18.70, exit $17.95, -.75 loss.